This is world-class, practical, hands-on business coaching by a team of highly experienced business executives with a passion for performance and a keen eye for your bottom line. …lead a business (or department) and want to grow the company & increase profits? …feel you are working harder and longer just to stand still? …feel under constant pressure to succeed? …feel your team could perform better? …want to improve morale within the company? …want to improve retention amongst your key staff? …want to invest in your people but need to see a tangible ROI? …need to develop future leaders through succession planning? …need to get the whole team firing on all cylinders? Answer ‘YES’ to any of the above questions and it’s about time you engaged one of our executive coaching experts. 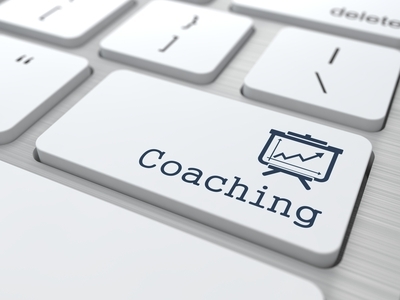 We have a small ‘hand-picked’ register of some of the most talented coaches in the UK, ready willing and able to offer solutions to your business challenges right now. Our experts are not only highly qualified in executive coaching, they are also mature, commercially-astute business people who’ve held senior leadership positions just like yours and they know exactly what it takes to achieve the results and improvements you desire. This is no ‘airy-fairy – touchy-feely’ service. If you want that, you’ll need to go elsewhere. This is world-class, practical, hands-on executive coaching by a team of highly experienced business executives with a passion for performance and a keen eye for your bottom line. Find out how you and your business can energise talent with passion and enthusiasm to achieve outstanding results today! Measurable: Focused on clear, measurable objectives and regular evaluation of success. Challenging: Meeting the coachee on their own level to challenge their perception of themselves, their business and their world. Businesslike: Commercially-focused and professional, our coaches work hard to fully understand your business world and the organisational context. Supportive: Coaches of the highest possible calibre are chosen for their business skills, compassion and interpersonal sensitivity. Practical: Coaching programmes are action-oriented and committed to delivering practical & positive outcomes. Informed: Graduates of the most respected Business Coach Programmes, our coaches willingly undergo continuing professional development and supervision to stay at the very forefront of their field. We will work with you and your team to deliver tangible improvements to the performance and resilience of your key individuals.